Dr. Rachel Reem, a native of Illinois, completed her medical degree at the University of Illinois College of Medicine at Rockford, a post-doctoral research fellowship at Case Western Reserve University in Cleveland Ohio, and ophthalmology residency at The Ohio State University Wexner Medical Center, followed by a fellowship in pediatric ophthalmology and adult strabismus at Nationwide Children’s Hospital in Columbus. She is a member of the American Academy of Ophthalmology and the American Association for Pediatric Ophthalmology and Strabismus, as well as the Association for Research in Vision and Ophthalmology and the Pediatric Eye Disease Investigator Group. 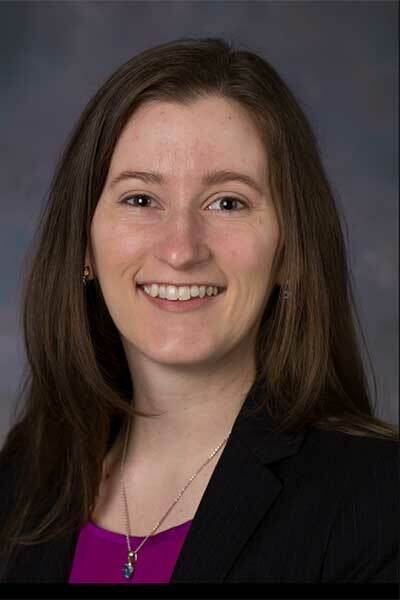 Her clinical interests include amblyopia, pediatric and adult strabismus, pediatric cataracts and glaucoma, and retinopathy of prematurity (ROP). Dr. Reem is a Clinical Assistant Professor of Ophthalmology at The Ohio State University and a member of the medical staff at Nationwide Children’s Hospital. She is actively involved in clinical research through both institutions. Dr. Reem enjoys making the eye exam fun for children. In her free time, Dr. Reem enjoys traveling, cooking, gardening, and spending time outdoors.